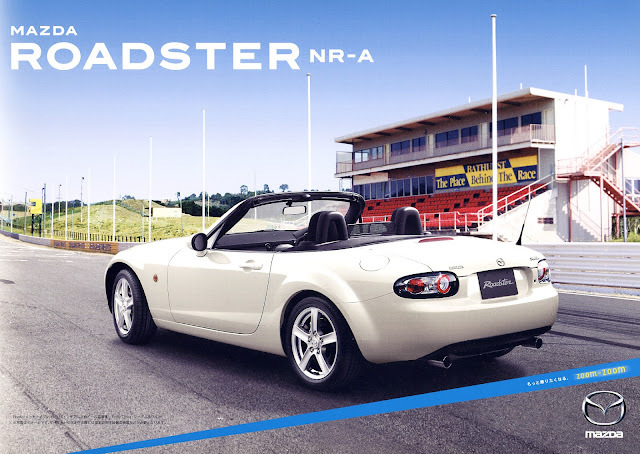 The NR-A version of the new Roadster appeared shortly after the launch of the new model, this time with a 2.0 litre engine. 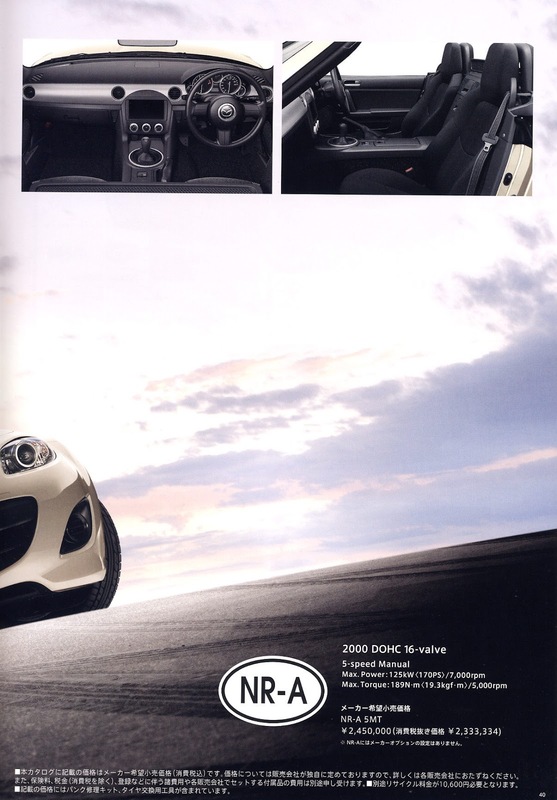 A concept for the NR-A model was shown off at the 2006 Tokyo Auto Salon. 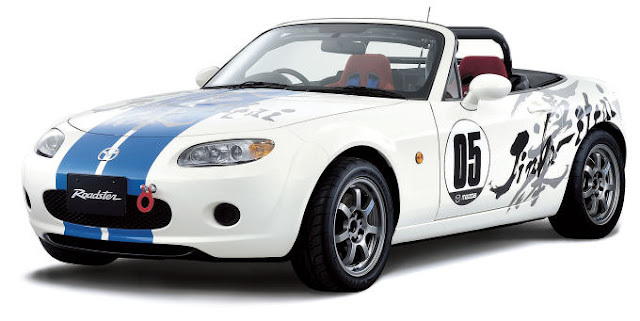 This car featured blue racing stripes and a special Jinba Ittai livery. The NC NR-A was based on the lowest spec standard model but was also given some additional parts for a more sporty drive. Its availability was still limited to the Japanese market. 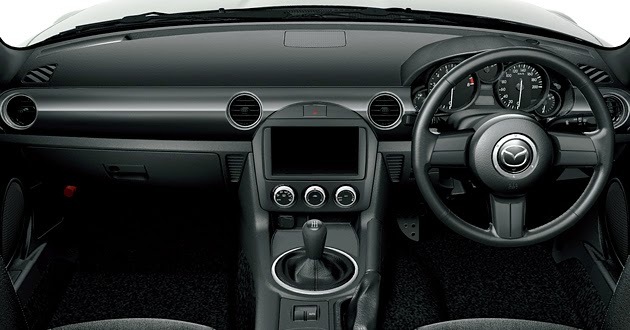 The specification includes 5-speed manual transmission, choice of eight colours, height adjustable (2 settings) Bilstein dampers, limited slip differential, leather steering wheel, aluminium pedal covers, front strut tower brace, and 16" steel wheels. 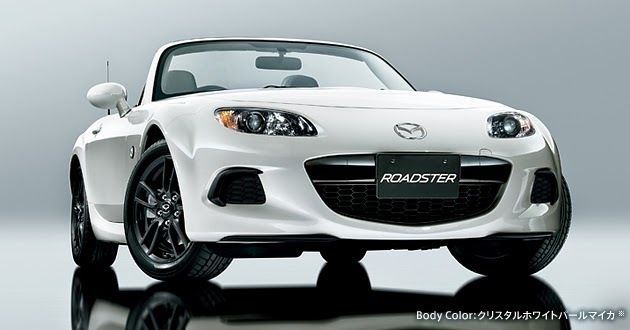 As with the previous generation, there were many optional extra parts including the 16" alloy wheels, Mazdaspeed rollcage, tow hooks, bucket seats, and race decals. 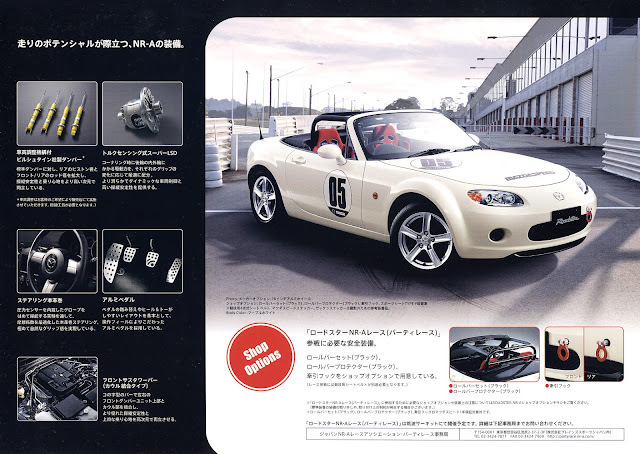 As with the NB, the NR-A spec was intended to be an affordable entry to motorsport and was eligible to compete in NR-A races certified by JAF (Japan Automobile Federation). Let's have a look through the brochure. 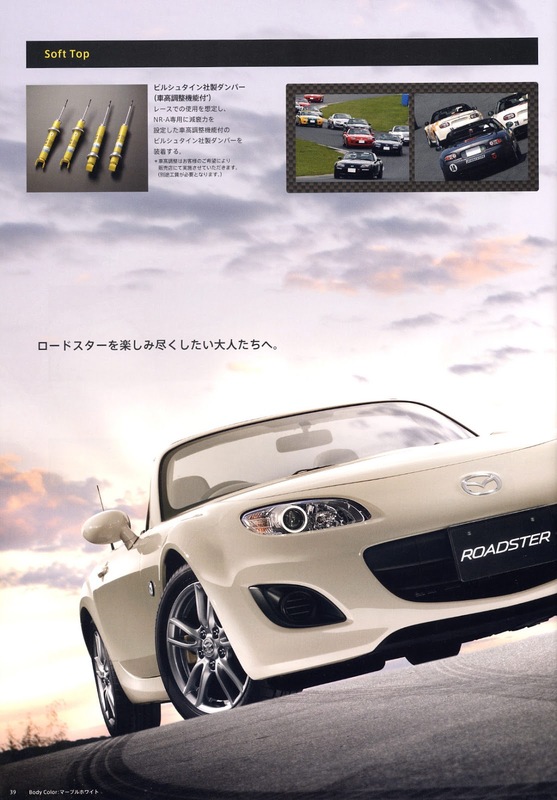 With the NC's facelifts the NR-A model continued to be sold as part of the lineup, the specification was largely unchanged, sticking with the 5-speed rather than the 6-speed gearbox, and 16" alloy wheels became standard. 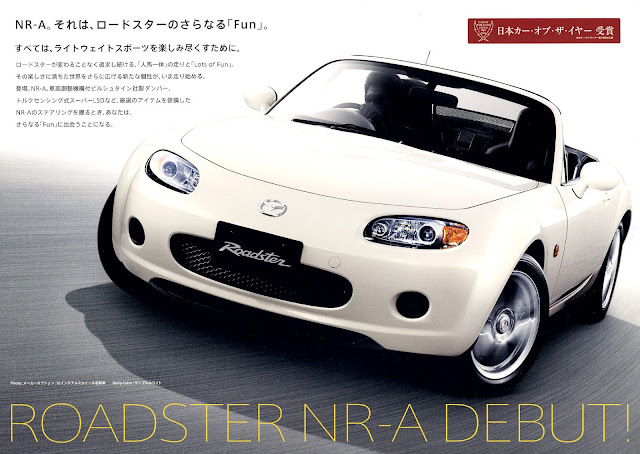 The NR-A was only available as the soft top, again likely for cost/weight savings. 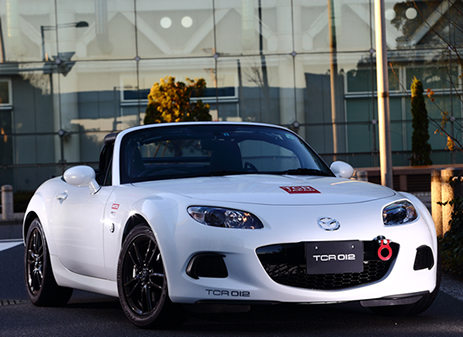 The final NC3 versions added dark finish alloy wheels, dark grey interior trim, and black headlight trim. Japanese tuning company TCR (Teruaki Clubman Race) offer a pretty comprehensive upgrade package for the NR-A model which features some carefully chosen parts and their own custom alignment settings. As a celebration of their successes in one make racing series their upgrade package is known as the TCR012. 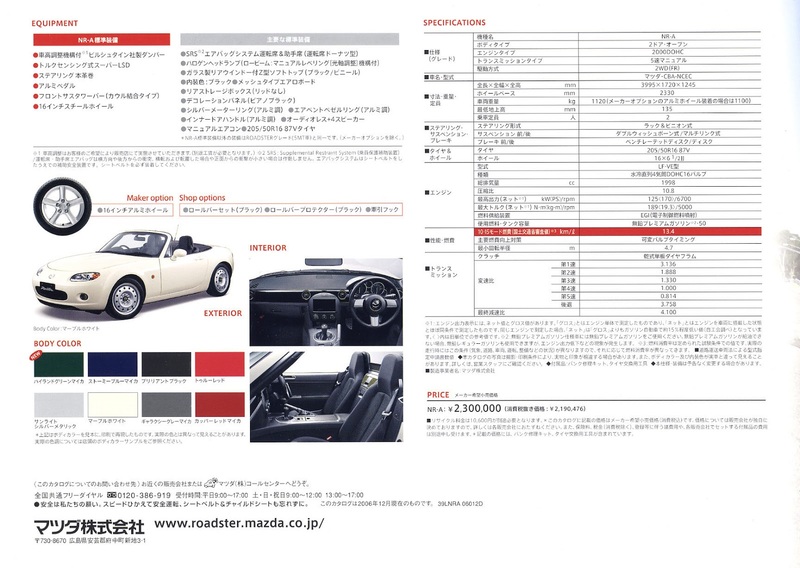 Of course all of this comes at a price, and including the car you would be looking at three and a quarter million Yen, or just over £21,000. The standard NR-A would set you back just over £16,000. But if you were serious about getting started with trackdays and racing it may well be good value. You can read more about the TCR012 here.